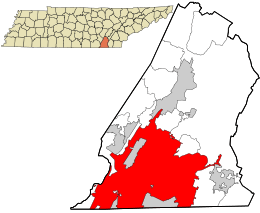 Location in Hamilton County and state of Tennessee. Chattanooga is a city in the U.S. state of Tennessee, with a population of 176,588 in 2015. 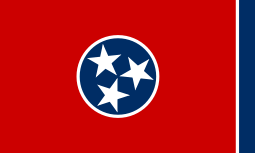 The fourth-largest city in Tennessee, it is on the Tennessee River 135 miles (217 km) southeast of Nashville, 120 miles (190 km) northeast of Huntsville, Alabama, and 148 miles (238 km) northeast of Birmingham, Alabama. Chattanooga abuts the Georgia border and there are three major interstate highways in its vicinity: I-24, I-75, and I-59. The city lies between the Appalachian Mountains and the Cumberland Plateau, surrounded by mountains and ridges. The official nickname for Chattanooga is the Scenic City, reinforced by the city's reputation for outdoor activities. Unofficial nicknames include River City, Chatt, Nooga, Chattown, and Gig City, referencing Chattanooga's claims that it has the fastest internet service in the Western Hemisphere. The first inhabitants of the Chattanooga area were Native Americans. Sites dating back to the Upper Paleolithic period showed continuous occupation through the Archaic, Woodland, Mississippian/Muskogean/Yuchi (900-1714 ce), and Cherokee (1776–1838). The Chickamauga Mound near the mouth of the Chickamauga Creek is the oldest remaining visible art in Chattanooga. The earliest Cherokee occupation dates from Dragging Canoe, who in 1776 separated himself and moved downriver from the main tribe to establish Native American resistance during the Cherokee–American wars) to European settlement in the southeastern United States. In 1816 John Ross, who later became Principal Chief, established Ross's Landing. Located along what is now Broad Street, it became one of the centers of Cherokee Nation settlement, which also extended into Georgia and Alabama. In 1838 the US government forced the Cherokees, along with other Native Americans from southeastern U.S. states, to relocate to the area designated as Indian Territory, in what is now the state of Oklahoma. Their journey west became known as the "Trail of Tears" for their exile and fatalities along the way. The US Army used Ross's Landing as the site of one of three large internment camps, or "emigration depots", where Native Americans were held prior to the journey on the Trail of Tears. 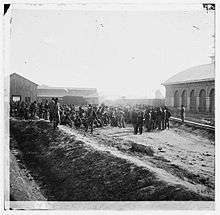 One of the internment camps was located in Fort Payne, Alabama and the largest was at Fort Cass, Tennessee. In December 1906, Chattanooga was in the national headlines as the United States Supreme Court, in the only criminal trial in its history, ruled that Hamilton County Sheriff Joseph H. Shipp had violated Ed Johnson's civil rights when Shipp allowed a mob to enter the Hamilton County Jail and lynch Johnson on the Walnut Street Bridge in United States v. Shipp. Chattanooga grew with the entry of the United States in the First World War in 1917, as the nearest training camp was in Fort Oglethorpe, Georgia. Effects of the Influenza of 1918 on Chattanooga included having movie theaters and pool halls closed. By the 1930s Chattanooga was known as the "Dynamo of Dixie", inspiring the 1941 Glenn Miller big-band swing song "Chattanooga Choo Choo". The late 1950s saw the creation of the Interstate Highway System with President Dwight D. Eisenhower signing legislation into law in June 1956. Due to Mayor P.R. Olgiati's efforts, Chattanooga became the first city in Tennessee to have a completed interstate system in the early 1960s. In February 1958, Chattanooga became one of the smallest cities in the country with three VHF transmitters: WTVM (now WTVC-TV) channel 9 (ABC), WRGP-TV (now WRCB-TV) channel 3 (NBC), and WDEF-TV channel 12 (CBS). The same mountains that provide Chattanooga's scenic backdrop also served to trap industrial pollutants which caused them to settle over the community, so much that in 1969, the federal government declared that Chattanooga had the dirtiest air in the nation. But environmental crises were not the only problems plaguing the city. Like other early industrial cities, Chattanooga entered the 1980s with serious socioeconomic challenges, including job layoffs due to de-industrialization, deteriorating city infrastructure, racial tensions, and social division. Chattanooga's population declined by more than 10% in the 1980s. However, Chattanooga was the only major U.S. city to lose this proportion of its population in the 1980s and then regain the same proportion in the next two decades. In late 20th and early 21st centuries, substantial private and governmental resources have been invested in transforming the city's tarnished image. They have worked to revitalize its downtown and riverfront areas, making use of its natural resources. An early cornerstone of this project was a restoration lasting several years, from the mid-to-late 1980s to 1993, of the historic Walnut Street Bridge. An excellent specimen of the Camelback truss bridge, it is the oldest surviving bridge of its kind in the Southeastern United States, having been built in 1891. On July 16, 2015, a shooting occurred at two U.S. military facilities in Chattanooga. Six people—four U.S. Marines, one sailor, and the gunman—were killed and two people were wounded. In May 2011, Volkswagen Group of America inaugurated its Chattanooga Assembly Plant. The $1 billion plant, opened in May 2011, serves as the group's North American manufacturing headquarters. The plant, which currently employs some 2,700 people and will increase by another 2,000 people within the next few years and manufactures the Passat (since April 2011) and the Atlas (from late 2016), will have a first-in-the-South full research and development center in downtown Chattanooga, employing some 200 engineers. The plant is the first one in the United States for Volkswagen since the 1988 closure of the Volkswagen Westmoreland Assembly Plant near New Stanton, Pennsylvania. Startups have been an increasing trend, due in part to EPB's fiber optic grid. Notable venture firms based in the city are Blank Slate Ventures, Chattanooga Renaissance Fund, Lamp Post Group, SwiftWing Ventures, and The Jump Fund. The city is served by several incubators, notably Co.Lab, the Business Development Center, and Lamp Post Group. The Business Development Center is among the nation's largest incubators, both in square footage and in the number of startups that it supports. Co-working spaces have picked up downtown, including Society of Work and Chattanooga Workspace. Unique in the city is the startup accelerator Gigtank, which utilizes the city's gigabit capacities and focuses on 3D printing, healthcare, and smartgrid technologies. Notable startups include Quickcue (acquired by OpenTable in 2013), Reliance Partners, PriceWaiter, Bellhops Moving Help, Variable Inc. (NODE), Ambition, Feetz, and TransCard. Chattanooga went from zero investable capital in 2009 to over $50 million in 2014. Beginning in 2009 and continuing through March 2011, when Haletown, Tennessee received service from EPB's fiber optic network, EPB began to establish its exclusive fiber optic network to its 600 sq mi (1,600 km2) service area, which covers the greater Chattanooga Metropolitan Statistical Area. In September 2010, EPB became the first municipally owned utilities company in the United States to offer internet access directly to the public at speeds up to one gigabit (1,000 megabits) per second by utilizing its fiber optic network. The network has been emulated by at least six other cities in Tennessee and studied by other cities in the US and even internationally. Jay Weatherill, South Australia's Premier, visited Chattanooga in January 2012 and "looked at the current gigabit network that was supporting critical city safety functions such as police and fire communications infrastructure, equipment and applications. He also inspected wastewater management, storm water management, traffic control and medical diagnostics applications [and] first-hand operations of a smart lighting and camera system that allows the police to control public lighting and see what is happening in heavy crime areas. [The article says the] use of broadband to carry the video and control signaling has contributed to making Chattanooga's Coolidge Park a safer place to visit." Within the first four months of 2015, Chattanooga became a very hot market for bank mergers with the merging of 3 locally owned banks, and 1 in nearby Cleveland, Tennessee. CapitalMark, formed in 2007, will be acquired by the Nashville-based Pinnacle Financial Partners for $187 million to have the fourth largest market share in the Chattanooga metro area. First Security Group, Inc, the largest Chattanooga-based bank, formed in 2000, will be acquired by the Atlanta-based Atlantic Capital Bancshares, Inc., for $160 million. Cornerstone, started in 1985, will merge with the Knoxville-based SmartBank in a stock deal. Cleveland's Southern Heritage Bank was acquired in 2014 by First Citizens National Bank in Dyersburg, Tennessee, for $32.2 million. All these mergers only leave one Chattanooga-based, independent bank, First Volunteer Bank. Others in the area locally based include Ringgold, Georgia-based Northwest Georgia Bank, Dunlap, Tennessee-based Citizens Tri-County Bank, Ooltewah-based Community Trust and Banking Co., Dayton, Tennessee-based Community National Bank, Fort Oglethorpe, Georgia-based Capital Bank, LaFayette, Georgia-based Bank of LaFayette, and Cleveland-based Bank of Cleveland. The city operates under a charter granted by the state legislature in 1852; the charter has been subsequently amended. The city operates under a strong mayor system, which changed from a commission form of government with members voted at-large. In 1989 U.S. District Judge R. Allan Edgar ruled that the commission-style government violated the Voting Rights Act of 1965 by diluting the minority black vote. As a result of Brown v. Board of Commissioners, Chattanooga abandoned the at-large voting system that it had used for the commission form of government, established single-member districts to represent both majority and minority elements of the population, eliminated voting privileges for non-resident property owners, and created the city's current mayor-council form of government. The current strong mayor system started in 1991 after a 1990 citywide election that used the district system. The city's legislative branch is represented by members from nine districts, elected from single-member districts in partisan elections. The current council members are Chip Henderson (District 1), Jerry Mitchell (District 2), Ken Smith (District 3), Larry Grohn (District 4), Russell Gilbert (District 5), Carol Berz (District 6), Chris Anderson (District 7), Moses Freeman (District 8), and Yusuf Hakeem (District 9). Chattanooga's delegation to the Tennessee House of Representatives includes Gerald McCormick (R), who represents District 26, Richard Floyd (R), who represents District 27, JoAnne Favors (D), who represents District 28, Mike Carter (R), who represents District 29, Vince Dean (R), who represents District 30, and Jim Cobb (R), who represents District 31. In the Tennessee Senate, Chattanooga is divided between Districts 10 and 11 with Todd Gardenhire (R) and Bo Watson (R) representing each district respectively. Most of Chattanooga's primary and secondary education is funded by the government. The public schools in Chattanooga, as well as Hamilton County, have fallen under the purview of the Hamilton County School System since the 1997 merger of the urban Chattanooga City Schools system and the rural Hamilton County Schools system. The Howard School, was the first public school in the area, established in 1865 after the Civil War. 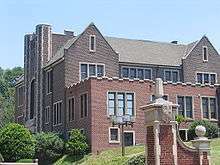 Tyner High School (now Tyner Academy), was the first secondary school built east of Missionary Ridge in 1907. It is now the home of Tyner Middle Academy (Hamilton County, Tennessee). The Chattanooga School for the Arts and Sciences and the Chattanooga High School Center for Creative Arts are additional public magnet schools. A wide variety of higher education institutions can be found in Chattanooga and nearby. The University of Tennessee at Chattanooga is the second largest campus of the University of Tennessee System, with a student population of over 11,669 as of 2015-16 school year. Chattanooga State Community College is a two-year community college with a total undergraduate enrollment of roughly 11,000 students. Tennessee Temple University is a Baptist college located in the Highland Park neighborhood that is no longer operating as of 2015. Chattanooga is also home to a branch of the University of Tennessee College of Medicine, which provides medical education to third- and fourth-year medical students, residents, and other medical professionals in southeast Tennessee through an affiliation with Erlanger Health System. Covenant College, a private liberal arts college operated by the Presbyterian Church in America, is located in the nearby suburb of Lookout Mountain, Georgia, and has a student population of about 1,000. Southern Adventist University is located in the suburb of Collegedale, Tennessee, and enrolls roughly 3,000 students. Virginia College School of Business and Health offers a variety of programs leading to diplomas, associate degrees, and bachelor's degrees. Chattanooga is also the center of much bluegrass music. In 1935, as well as from 1993 to 1995, the city hosted the National Folk Festival. Since 2007, the annual 3 Sisters Festival showcases traditional and contemporary bluegrass artists, and has been named on of the country's top 5 bluegrass festivals by Great American Country. The Chattanooga Lookouts, a Class AA Southern League baseball team affiliated with the Minnesota Twins, boast a loyal following and respectable participation in season-end playoffs. Games take center stage at the downtown riverfront AT&T Field with tickets starting at $5. The city's semi-professional soccer team, Chattanooga FC, plays in the National Premier Soccer League and has led the league in attendance three of the four years of its existence. Chattanooga FC has also gone to the national finals three times since its inception, and drew a record 18,227 fans for their 2015 NPSL title match. The club has also found success in the U.S. Open Cup defeating the professional USL's Wilmington Hammerheads to reach the tournament's third round in 2014 and 2015. The Tennessee River, which flows through the middle of Chattanooga, is an excellent place to row. The Head of the Hooch rowing regatta takes place in downtown Chattanooga during the first weekend of November. 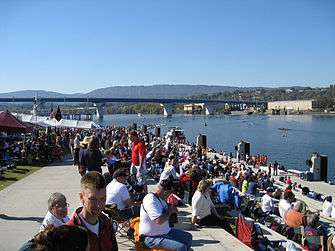 The head race originally took place on the Chattahoochee River in Atlanta before moving to Chattanooga in 2005, hence the name Head of the Hooch. With 1,965 boats in 2011 and nearly 2,000 boats in 2012, this competition ranks as the 2nd largest regatta in the United States, with numerous college and youth teams, such as UNC Men's Crew, Vanderbilt Rowing Club, James Madison University Crew, University of Tennessee Women's Rowing, Orlando Rowing Club, Nashville Rowing Club, Newport Rowing Club, and Chattanooga Rowing, competing. There are also multiple local rowing clubs, such as the Lookout Rowing Club for adults and the Chattanooga Junior Rowing Club for high school students. The weekend of the Head of the Hooch also sees hot-air balloon rides and other activities. In August 2013, further cementing Chattanooga's growing status as a nationally recognized outdoor haven, the Chattanooga Sports Committee, an organization established in 1992 to help the city host major sporting events, announced that the Ironman Triathlon would be coming to the city in a 5-year deal. The city will become one of only 11 cities in the United States to host the grueling competition showcasing Chattanooga's natural beauty, which consists of a 2.4-mile (3.9 km) swim, a 112-mile (180 km) bike race (which will be broken down into two 56-mile (90 km) loops), and a 26.2-mile (42.2 km) run (which will be broken down into two 13.1-mile (21.1 km) loops). The competition begins its first year in Chattanooga on September 26, 2014, continuing every September thereafter through 2018. The winner of the competition will get a $25,000 prize and a spot in the Ironman World Championship in Hawaii. Due to its location at the junction of the Cumberland Plateau and the southern Appalachians, Chattanooga has become a haven for outdoor sports, such as hunting, fishing, trail running, road running, adventure racing, rock climbing, mountain biking, and road biking. The internationally known StumpJump 50k has been hosted on nearby Signal Mountain since 2002. As of the census of 2010, there were 167,674 people, 70,749 households, and 40,384 families residing in the city. The population density was 1,222.5 people per square mile (472.5/km²). There were 79,607 housing units at an average density of 588.8 per square mile (226.0/km²). The racial makeup of the city was 58.0% White, 34.9% Black, 2.0% Asian, 0.4% American Indian, 0.1% Pacific Islander, 2.8% from other races, and 1.9% from two or more races. Persons of Hispanic or Latino origin (regardless of race) comprised 5.5% of the total population. Non-Hispanic Whites were 55.9% of the population in 2010, down from 67.3% in 1980. There were 70,749 households out of which 26.7% had children under the age of 18 living with them, 36% were married couples living together, 17.3% had a female householder with no husband present, and 42% were non-families. 33.5% of all households were made up of individuals and 26% had someone living alone who was 65 years of age or older. The average household size was 2.26 and the average family size was 2.94. The single largest religious group in Chattanooga is Christianity. According to the 2010 statistics the Southern Baptist Convention is the largest denomination with 225 congregations and 122,300 members followed by the United Methodist Church with 31,500 members and 83 churches. The third-largest denomination is the Church of God (Cleveland, Tennessee) with 82 churches and 17,000 members. The Roman Catholic Diocese of Knoxville has 12 congregations and 1,200 members. The second-largest religion is Islam, with 2,156 adherents. The most prominent natural features in and around Chattanooga are the Tennessee River and the surrounding mountains. The city is nestled between the southwestern Ridge-and-valley Appalachians and the foot of Walden's Ridge; the river separates the ridge from the western side of downtown. 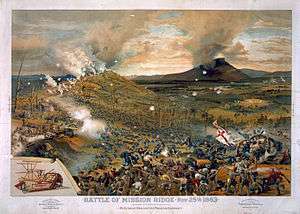 Several miles east, the city is bisected by Missionary Ridge, which is the site of an important battle in the Civil War. In addition to the restoration of downtown, many of Chattanooga's neighborhoods have experienced a rebirth of their own. Chattanooga has many buildings on the National Register of Historic Places and three neighborhoods: Ferger Place, Fort Wood, and St. Elmo. Additionally, Chattanooga has ten local historic districts: Fort Wood, Ferger Place, Glenwood, Missionary Ridge, Market and Main Streets, Market Street Warehouse, M.L. King Boulevard, St. Elmo, Stone Fort Land Company, and Stringer's Ridge. 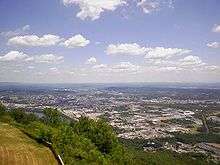 Chattanooga, like much of Tennessee, has a four-season humid subtropical climate (Köppen Cfa). Winter days are usually mild but most years have at least one day (average 3.2) where the high remains at or below freezing. Snow is not common, and many years may receive none; the 1971–2000 snowfall seasonal median was 0.6 inches (1.5 cm). However, 11 inches (28 cm) was recorded between January 9–10, 2011. Summers are hot and humid, with a July daily mean of 80.0 °F (26.7 °C) and 52 days annually with 90 °F (32 °C) or greater temperatures. Average annual precipitation is over 52 inches (1,300 mm). On average, November through March represents an extended relatively wet period, because of Chattanooga's frequent placement (in the winter season) in a zone of conflict between warm, moist air from the Gulf of Mexico and cold, dry air from Canada, amplified by jet-stream energy and abundant Gulf moisture. July presents a secondary maximum in precipitation, due to frequent thunderstorm activity. Despite the mountains that surround the city, Chattanooga can and has been threatened by tornadoes. These tornadoes include the April 2011 tornado outbreak, which impacted the city and nearby locations, including Apison and Cherokee Valley just over the nearby state line in Catoosa County, Georgia, where fifteen people died, eight in Apison and seven in Cherokee Valley. See the separate List of people from Chattanooga, Tennessee. Books that have Chattanooga as either a major or minor plot setting are Don't Cry by Beverly Barton, Full Moon by Mick Winters, American Gods by Neil Gaiman, Queen of Wands by John Ringo. 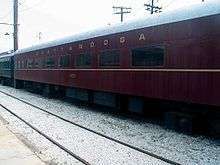 The 1941 Glenn Miller song that catapulted Chattanooga to international fame, Chattanooga Choo Choo, has been performed in numerous movies, including the 1941 film Sun Valley Serenade, featuring the Miller Orchestra and a young Milton Berle, "The Glenn Miller Story" starring James Stewart in the 1953 title roll and the 1984 eponymous film Chattanooga Choo Choo. In January 2007, all of the cities above, with the exception of Wolfsburg, had a tree native to each locale planted at Coolidge Park's Peace Grove, which was established to replace a 100-year-old Slippery Elm tree which was damaged in a lightning storm in August 2006. Wolfsburg was added in September 2011. The Peace Grove has eight trees: a Linden Tree, which represents Hamm, a Chinese Elm, which represents Wuxi, a Mediterranean Cedar, which represents Givatayim, a White Birch, which represents Nizhny Tagil, a Ginkgo Tree, which represents Gangneung, an English Elm, which represents Swindon, a European Hornbeam, which represents Ascoli Piceno, and an Oak Tree, which represents Wolfsburg. ↑ Official records for Chattanooga kept at the Weather Bureau in downtown from January 1879 to June 1940 and at Lovell Field since July 1940. ↑ "About Chattanooga, Tennessee". Archived from the original on September 12, 2011. Retrieved 2011-05-10. ↑ "U.S. Census Bureau Delivers Tennessee's 2013 Census Population Totals, Including First Look at Race and Hispanic Origin Data for Legislative Redistricting". U.S. Census Bureau. Archived from the original on November 29, 2014. Retrieved September 1, 2014. ↑ "Chattanooga, Tennessee (TN) Zip Code Map - Locations, Demographics". city-data.com. Retrieved July 17, 2015. ↑ Chattanooga, Tennessee QuickFacts, United States Census Bureau website. Retrieved: 6 December 2013. ↑ Smith, Ellis (June 24, 2012). "Internet rivals Comcast, EPB slug it out in Chattanooga market". Chattanooga Times Free Press. Retrieved 26 June 2012. ↑ "Chattanooga Gig: Your Gig is Here.". chattanoogagig.com. Retrieved July 17, 2015. 1 2 Morrison, Chloe (September 6, 2012). "Chatype used everywhere from library to new downtown banners". Nooga.com. Retrieved 12 March 2013. 1 2 Timothy Ezzell, Chattanooga. Tennessee Encyclopedia of History and Culture, 2009. Retrieved: 17 January 2013. ↑ Vicki Rozema, Voices from the Trail of Tears. Voices from the Trail of Tears, 2003. Retrieved August 19, 2009. 1 2 3 4 5 6 "Chattanooga: History – Native Americans Displaced by Early Settlers". City-data.com. Retrieved November 13, 2011. 1 2 http://www.tva.gov/river/flood/prone.htm Flood-Prone Areas. Tennessee Valley Authority. ↑ "Chattanooga, Tennessee (Reconstruction to World War II)". NGeorgia.com. Retrieved 29 August 2012. ↑ "Chattanooga, Dirtiest City in American | Chattanooga Green City". The GreenPages Chattanooga. Retrieved April 25, 2013. ↑ "Where Do Our Interstate Highways Terminate?". chattanoogan.com. Retrieved July 17, 2015. ↑ "Why did they name it the "Ol' Johnny Bridge?"". chattanoogaradiotv.com. Retrieved July 17, 2015. ↑ "Bridge Statistics for Chattanooga, Tennessee (TN) - Condition, Traffic, Stress, Structural Evaluation, Project Costs". city-data.com. Retrieved July 17, 2015. ↑ "Chapter Seven". gtvhof.com. Retrieved July 17, 2015. ↑ Brandes Gratz, Roberta (July 7, 2011). "Healing the Urban Heart: Chattanooga's Next Great Challenge". The CitiStates Group. Retrieved 28 June 2012. ↑ "City populations grow, shift". timesfreepress.com. Retrieved November 13, 2011. ↑ "Chattanooga cleans up for better quality of life". timesfreepress.com. Retrieved November 13, 2011. ↑ "Chattanooga: Green focus of city affirmed Image-makers weigh tourism outlook". timesfreepress.com. Retrieved November 13, 2011. ↑ "waterfront_exec_summary.pdf (application/pdf Object)" (PDF). rivercitycompany.com. Archived from the original (PDF) on October 29, 2008. Retrieved October 2, 2008. ↑ "City of Chattanooga". Chattanooga.gov. Retrieved November 13, 2011. ↑ "Profile: Chattanooga" (PDF). Chattanooga Chamber of Commerce. Retrieved December 7, 2011. ↑ "Chattanooga lands VW plant". Chattanooga Times Free Press. Retrieved December 7, 2011. ↑ Lohr, Steve (September 12, 2010). "Fastest Net Service in U.S. Coming to Chattanooga". The New York Times. Retrieved December 7, 2011. ↑ "Chatype Typeface". Chatype.com. August 15, 2012. Retrieved 12 March 2013. ↑ Denton, Lisa (March 25, 2012). "Chattanooga Now 2012". Chattanooga Times Free Press. Retrieved 12 March 2013. ↑ "Chattanooga shootings: Gunman ID'd as Muhammad Youssef Abdulazeez". CBC News. July 16, 2015. Retrieved 16 July 2015. ↑ Pare, Mike (April 12, 2012). 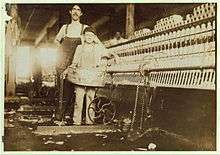 "Life Savers at 100: Wrigley cites Chattanooga plant during celebration". Chattanooga Times Free Press. Retrieved 27 June 2012. ↑ "Altoids: Made in America". Prepared Foods Network. September 7, 2005. Retrieved 27 June 2012. ↑ Pare, Mike (May 24, 2011). "VW ushers in new era in U.S. with its Chattanooga plant". Chattanooga Times Free Press. Retrieved 26 June 2012. ↑ Holusha, John (November 21, 1987). "Volkswagen to Shut U.S. Plant". The New York Times. Retrieved March 27, 2010. ↑ "History of Dairy Queen". Dairy Queen. Retrieved June 11, 2012. ↑ Mills, Karren (July 14, 2002). "Dairy Queen trying improved restaurants". Cincinnati Enquirer Online. Retrieved June 11, 2012. ↑ "Dairy Queen opens new Grill & Chill concept in Simpsonville (Ky.)". Business First. December 18, 2006. Retrieved June 11, 2012. ↑ Malek, Mitra (February 1, 2015). "Dalton may hatch business incubator". Chattanooga Times Free Press. Retrieved 5 March 2015. ↑ "Electricity meets the Internet with smart meters". timesfreepress.com. Retrieved November 13, 2011. ↑ "Electricity meets the Internet with smart meters | timesfreepress.com". Tfponline.com. Retrieved November 13, 2011. ↑ Lohr, Steve (September 12, 2010). "Fastest Net Service in U.S. Coming to Chattanooga". The New York Times. ↑ "Littlefield: "We Want Local Control" of the Water Company". The Chattanoogan. December 19, 2005. Retrieved March 24, 2007. 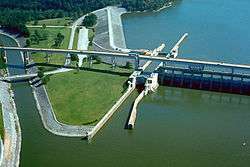 ↑ "Parent Company Of Tennessee-American Water To Be Sold In Public Offering". The Chattanoogan. March 25, 2006. Retrieved March 24, 2007. ↑ Smith, Ellis (December 5, 2011). "EPB, AT&T and Comcast compete for Chattanooga customers". Chattanooga Times Free Press. Retrieved 22 June 2012. ↑ "Our Company and History". EPB. Retrieved February 21, 2012. ↑ "EPB Fiber Optics". epbfi.com. Retrieved July 17, 2015. ↑ "Chattanooga Announces 1 Gbps Tier | community broadband networks". Muninetworks.org. September 13, 2010. Retrieved April 25, 2013. ↑ "Chattanooga Community Fiber Network Profiled on The Southern Way | community broadband networks". Muninetworks.org. October 29, 2011. Retrieved April 25, 2013. ↑ "Knoxville News Station Envious of Chattanooga Fiber Network | community broadband networks". Muninetworks.org. January 4, 2012. Retrieved April 25, 2013. ↑ "South Australia looks at Chattanooga for high speed broadband model". BroadbandExpert. January 9, 2012. Retrieved April 25, 2013. ↑ "chattanooga | community broadband networks". Muninetworks.org. Retrieved April 25, 2013. ↑ "In Chattanooga, EPB Customers Rave, Comcast Customers Livid | community broadband networks". Muninetworks.org. January 28, 2012. Retrieved April 25, 2013. ↑ "Amazon's Chattanooga Distribution Center is Expanding | community broadband networks". Muninetworks.org. January 13, 2012. Retrieved April 25, 2013. ↑ "Smart Grid Electric Power". EPB. Retrieved April 25, 2013. ↑ "EPB (Smart Grid Project)". SmartGrid.gov. 2012-06-13. Retrieved April 25, 2013. ↑ "EPB's Chattanooga smart grid gains federal accolades". timesfreepress.com. Retrieved April 25, 2013. ↑ "EPB Deploys America's Fastest Fiber-optic Smart Grid - Lee Baker, Smart Grid Consultant". Electric Energy Online. Retrieved April 25, 2013. ↑ "EPB smart meters a benefit". timesfreepress.com. Retrieved April 25, 2013. ↑ "More Chattanooga 1Gbps Thoughts and Coverage | community broadband networks". Muninetworks.org. Retrieved April 25, 2013. ↑ "Big Five: Chattanooga's biggest banks". timesfreepress.com. Retrieved July 17, 2015. ↑ "Johnston heads new Chase hub in Chattanooga". timesfreepress.com. Retrieved July 17, 2015. ↑ "Nashville's Pinnacle Bank to buy CapitalMark for $187 million". timesfreepress.com. Retrieved July 17, 2015. ↑ "Chattanooga hot market for bank mergers". timesfreepress.com. Retrieved July 17, 2015. ↑ Hightower, Cliff (March 6, 2013). "Andy Berke is Chattanooga's new mayor". Chattanooga Times Free Press. Retrieved 12 March 2013. 1 2 Hightower, Cliff; Todd South (October 13, 2011). "Brown v. Board of Commissioners". Chattanooga Times Free Press. Retrieved 10 August 2012. ↑ Hightower, Cliff (March 6, 2013). "3 voted off Chattanooga City Council". Chattanooga Times Free Press. Retrieved 12 March 2013. ↑ "Representatives". Tennessee General Assembly. Retrieved 3 July 2012. ↑ "Representatives". Tennessee General Assembly. Retrieved 21 March 2013. ↑ "Senators". Tennessee General Assembly. Retrieved 3 July 2012. ↑ "Congressman Chuck Fleischmann". United States House of Representatives. Retrieved 3 July 2012. ↑ "Senator Bob Corker". United States Senate. Retrieved 3 July 2012. ↑ "Senator Lamar Alexander". United States Senate. Retrieved 3 July 2012. ↑ "Chattanooga Police Department: 1940s". City of Chattanooga. Retrieved 9 August 2012. ↑ "Chattanooga's History (Great Depression through the Present Day)". NGeorgia.com. Retrieved 9 August 2012. ↑ Hubbard, Rita L. (December 10, 2007). "Notable Place and Events that had an impact on the United States". African Americans of Chattanooga: A History of Unsung Heroes. Charleston, South Carolina: The History Press. pp. 77–78. ISBN 978-1-59629-315-1. Retrieved 9 August 2012. ↑ "Hamilton County Department of Education :: --Quick Links--". hcde.org. Retrieved July 17, 2015. ↑ "History « PEF". Pefchattanooga.org. Retrieved April 25, 2013. ↑ "3HD is now ND&P". Thehowardschool.net. Retrieved November 13, 2011. ↑ "Children With Special Needs | Autism | Early Intervention | Special Education | Down syndrome | Siskin Children's Institute". Siskin.org. Retrieved November 13, 2011. ↑ "UTC Factbook". utc.edu. Retrieved April 4, 2016. ↑ American Library Annual, 1917-1918. New York: R.R. Bowker Co. 1918. ↑ Hightower, Cliff (May 23, 2011). "Sales tax accord ends; new era begins". Chattanooga Times Free Press. Retrieved 1 July 2012. 1 2 3 "About Erlanger". Erlanger.org. October 5, 2011. Retrieved November 13, 2011. ↑ "100 Top Hospitals 2008". Thomson Reuters. 2008. Archived from the original on May 24, 2008. Retrieved November 18, 2008. ↑ Erlanger Board of Trustees Archived October 21, 2008, at the Wayback Machine. ↑ "100 Top Hospitals 2004". Thomson Reuters. 2004. Archived from the original on February 9, 2007. Retrieved March 24, 2007. ↑ "The International Towing and Recovery Hall of Fame and Museum". Internationaltowingmuseum.org. October 7, 2011. Retrieved November 13, 2011. ↑ Cicero, De Oratore. "Chattanooga History Center". Chattanoogahistory.com. Retrieved November 13, 2011. 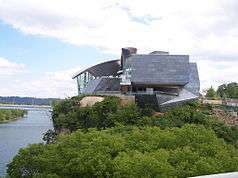 ↑ "National Medal of Honor Museum, Chattanooga, Tennessee". Mohm.org. Retrieved November 13, 2011. ↑ "index.html". thehoustonmuseum.com. Retrieved July 17, 2015. ↑ "Chattanooga African American Museum". Caamhistory.com. Retrieved November 13, 2011. ↑ "The Creative Discovery Museum". United Nations. Retrieved November 13, 2011. ↑ "Chattanooga Symphony and Opera: Welcome!". Chattanoogasymphony.org. Retrieved November 13, 2011. ↑ "Home". Theatrecentre.com. Retrieved April 25, 2013. ↑ "Conference on Southern Literature". Southernlitconference.org. Retrieved November 13, 2011. ↑ "Festival of Writers". Artsedcouncil.org. Archived from the original on October 4, 2011. Retrieved November 13, 2011. ↑ "The Arts & Education Council of Chattanooga". Artsedcouncil.org. Retrieved November 13, 2011. ↑ "Chattanooga, Tennessee Visitors Bureau – Chattanooga Outdoors – Coolidge Park". Chattanoogafun.com. Retrieved November 13, 2011. 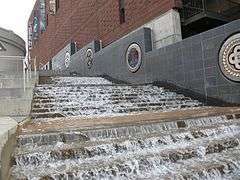 ↑ "Chattanooga, Tennessee Visitors Bureau – Chattanooga Outdoors – Renaissance Park". Chattanoogafun.com. Retrieved November 13, 2011. ↑ "Cravens House". Ngeorgia.com. June 5, 2007. Retrieved November 13, 2011. ↑ "Point Park, on Lookout Mountain, Georgia-Tennessee". Roadsidegeorgia.com. Retrieved November 13, 2011. ↑ "Redirection is also a direction". hikelookout.com. Retrieved July 17, 2015. ↑ "GoFest!". Gofest.info. Retrieved November 13, 2011. ↑ Talespin Archived December 21, 2009, at the Wayback Machine. ↑ "The Back Row Film Series". Backrowfilms.com. Retrieved November 13, 2011. ↑ "RiverCity". Downtownchattanooga.org. Retrieved November 13, 2011. ↑ "Chattanooga Dulcimer Festival". Chattanooga Dulcimer Festival. Retrieved November 13, 2011. ↑ "The 5 Best Bluegrass Festivals in the Country". Great American Country. Retrieved August 28, 2016. ↑ "January 20–22, 2012". Chattacon.org. Retrieved November 13, 2011. ↑ "37th Chattacon convention brings science-fiction fans to Chattanooga". Chattanooga Times Free Press. January 22, 2012. Retrieved May 22, 2012. ↑ Jett, Tyler (January 27, 2013). "Creature comforts: Chattacon lures fantasies to Chattanooga Choo Choo". Chattanooga Times Free Press. Retrieved 23 February 2013. ↑ "NCAA inks three-year extension to keep FCS title game in Frisco, Texas" (Press release). NCAA. December 19, 2012. Retrieved December 19, 2012. ↑ "Chattanooga Lookouts official site; affiliate stated on top right-hand corner of web page". Lookouts.com. January 1, 2011. Retrieved November 13, 2011. ↑ "US amateur record crowd of 18,227 sees NPSL club Chattanooga FC fall in overtime in championship", August 10, 2015. 1 2 Behringer, Maggie (February 21, 2013). "See Chattanooga's rugby boom this Saturday". Nooga.com. Retrieved 19 March 2013. ↑ Behringer, Maggie (February 26, 2013). "Banner day for rugby at Montague Park". Nooga.com. Retrieved 19 March 2013. ↑ "Chattanooga". www.triposo.com. Triposo. Retrieved 2015-10-01. ↑ "2011 Results". Head of the Hooch. November 5–6, 2011. Retrieved May 22, 2012. ↑ "Head of the Hooch competition draws 15,000 to river". Chattanooga Times Free Press. November 6, 2011. Retrieved May 22, 2012. ↑ Rosenbladt, Oli (November 16, 2012). "Hooch 2012: A Regatta Like Clockwork". Row2k.com. Retrieved 2 December 2012. ↑ "Race Schedule For USA Cycling Professional Road & Time Trial National Championships". ↑ "Rodriguez wins fourth U.S. men's road title". May 27, 2013. Retrieved June 25, 2013. ↑ "Chattanooga leaders, business owners prepare for "the Super Bowl of cycling"". May 24, 2013. Retrieved June 25, 2013. ↑ "USA Cycling Championships This Weekend". May 23, 2013. Retrieved June 25, 2013. ↑ Paschal, David (August 15, 2013). "Chattanooga lands five-year Ironman deal". Chattanooga Times Free Press. Retrieved 16 August 2013. ↑ Staff (August 15, 2013). "Chattanooga to host Ironman Triathlon series". WRCB (Chattanooga, Tenn.). Retrieved 16 August 2013. ↑ "Famed Stump Jump helps kick off Chattanooga's RiverRocks festival". timesfreepress.com. Retrieved July 17, 2015. ↑ Staff (2012). "Bicycle Friendly Community: Chattanooga". League of American Bicyclists. Retrieved 12 February 2013. ↑ "About". Outdoorchattanooga.com. Archived from the original on November 5, 2011. Retrieved November 13, 2011. ↑ "Tennessee Aquarium River Gorge Explorer Boat". Tnaqua.org. April 18, 2009. Retrieved November 13, 2011. ↑ "Tennessee Aquarium Boat tour highlights". Tnaqua.org. Retrieved November 13, 2011. ↑ "Census of Population and Housing: Decennial Censuses". United States Census Bureau. Retrieved 2012-03-04. ↑ "Incorporated Places and Minor Civil Divisions Datasets: Subcounty Resident Population Estimates: April 1, 2010 to July 1, 2012". Population Estimates. U.S. Census Bureau. Archived from the original on June 17, 2013. Retrieved 11 December 2013. ↑ "2010 Demographic Profile Data (DP-1) for Chattanooga city, Tennessee". U.S. Census Bureau. Retrieved December 3, 2016. ↑ "Chattanooga (city), Tennessee". State & County QuickFacts. U.S. Census Bureau. ↑ [rcms2010_16860_metro_adh_2010.asp "Chattanooga, TN-GA, Metropolitan Statistical Area: Religious Traditions, 2010"] Check |url= value (help). The Association of Religion Data Archives (ARDA). 2010. Retrieved 12 April 2016. 1 2 "Climatography of the United States No. 20: 1971–2000" (PDF). National Oceanic and Atmospheric Administration. Retrieved September 19, 2010. ↑ Staff. "Chattanooga Natural Disaster and Weather Extremes for Chattanooga". USA.com. Retrieved February 18, 2013. ↑ "Documented Tornadoes in Hamilton County TN". Srh.noaa.gov. Retrieved April 25, 2013. ↑ Staff (April 29, 2011). "Funeral Services Set For Some Of Apison Tornado Victims". Chattanoogan.com. Retrieved 18 February 2013. ↑ Barbour, Matt (September 23, 2012). "Memorial honors April 27th tornado victims". WRCB.com. Retrieved 18 February 2013. ↑ "Station Name: TN CHATTANOOGA LOVELL AP". National Oceanic and Atmospheric Administration. Retrieved 2014-06-11. ↑ "WMO Climate Normals for CHATTANOOGA/LOVELL FIELD, TN 1961–1990". National Oceanic and Atmospheric Administration. Retrieved 2014-03-10. ↑ http://www.chattanoogan.com/articles/article_113678.asp The Chattanoogan, September 19, 2007. ↑ "Bike Chattanooga celebrates four years". Retrieved 2016-08-03. ↑ "Chattanooga eying new bicycle models for bike-share program". Retrieved 2016-08-03. ↑ "Norfolk Southern Corporate Profile". Norfolk Southern. Retrieved 22 August 2012. ↑ "Chattanooga, Tennessee - Slider". enc.slider.com. Retrieved 2015-10-01. ↑ Keane, Maribeth (February 20, 2009). "An Interview With National Model Railroad Association Library Director Brent Lambert". Collectors Weekly. Retrieved 26 June 2012. ↑ "Market Street Bridge Project // What's Happening". Marketstbridge.com. Retrieved November 13, 2011. ↑ "Katy Trail Information". Bikekatytrail.com. Retrieved November 13, 2011. ↑ "Tennessee River Railroad Bridge". 35.104075;-85.233388: Bridgehunter.com. Retrieved November 13, 2011. ↑ Archived July 25, 2010, at the Wayback Machine. ↑ "Newspaper marks 10 years since sales, merger". Chattanooga Times Free Press. January 4, 2009. Retrieved 26 June 2012. ↑ "Choice Now In Chattanooga". Tuscaloosa (Ala.) News. August 28, 1966. Retrieved 26 June 2012. ↑ "Chattanooga Times Free Press Overview". Chattanooga Times Free Press. 2010. Retrieved 26 June 2012. ↑ "Our unique editorial variety". timesfreepress.com. Retrieved November 13, 2011. ↑ "Enigma Magazine in Print ‹ The New Enigma online magazine is now underway!". ↑ "The Chattanooga News Chronicle"
↑ "The Chattanoogan". Chattanoogan.com. Retrieved July 21, 2009. Chattanoogan.com was launched Sept. 1, 1999, as one of the first full-service web-only daily newspapers in the country. Since that date, it has proven to be a pace-setter in the rapidly-developing field of Internet news publishing and has drawn a wide following and readership. It currently gets about 50,000–80,000 visits per day. ↑ Flessner, Dave (2011). "Group plans news website as Igou sells nooga domain". Chattanooga Times Free Press. Retrieved February 17, 2011. Barry Large, who co-founded Access America Transport Inc., says the new site could "transform the way people in our area gather their news, express their opinions, and plan their weekends." Large said Tuesday he is the majority owner in a group that acquired the Internet domain name nooga.com in November from Chattanooga businessman Rick Igou. Although the nooga.com site is inactive, Large said in an e-mailed statement Tuesday that he plans to launch a news site "that will provide quality daily content focusing on local business, politics, and entertainment in the Chattanooga area." "Nooga.com will go live in the near future, featuring an impressive array of writers and contributors from around the Scenic City,"
↑ Leber, Holly (November 17, 2008). "Film enthusiasts want Chattanooga to become a movie magnet". Chattanooga Times Free Press. Retrieved 12 February 2013. ↑ Leber, Holly (August 26, 2011). "Movie likely shooting at Baylor School in fall helps put city on the map". Chattanooga Times Free Press. Retrieved 12 February 2013. ↑ "Books Set in Chattanooga, Tennessee". Goodreads.com. 2013. Retrieved 30 January 2013. 1 2 3 4 5 Staff (2013). "Most Popular Titles With Filming Locations Matching "Chattanooga"". IMDB.com. Retrieved 12 February 2013. 1 2 "In the Movies". Tennessee Valley Railroad Museum. Retrieved 28 August 2012. ↑ Barnett, Mary (2012-05-21). "Filming of "42" begins at Engel Stadium". Nooga.com. Retrieved 2012-08-13. ↑ Poulisse, Adam (June 1, 2012). "Harrison Ford in Chattanooga to film '42'". Chattanooga Times Free Press. Retrieved 30 January 2013. 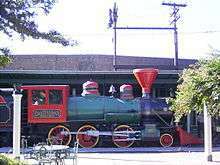 ↑ "Most Popular Titles With Soundtracks Matching "Chattanooga Choo Choo"". IMDB.com. 2013. Retrieved 12 February 2013. ↑ Shearer, John (December 2, 2007). "UTC McKenzie Arena Celebrating 25 years". Chattanoogan.com. Retrieved 12 February 2013. ↑ Staff (2013). "The History of the WWE: 1997". WWE.com. Retrieved 12 February 2013. ↑ Staff. "The McKenzie Arena". UTC Mocs Athletics. Retrieved 13 February 2013. ↑ Staff (2013). "Toby Keith-Chattanooga". Songkick.com. Retrieved 13 February 2013. ↑ Staff (January 17, 2013). "Elton John To Perform At McKenzie Arena On March 23". Chattanoogan.com. Retrieved 13 February 2013. ↑ Harrison, Kate (October 3, 2011). "Chattanooga becoming a destination for police reality TV shows". Chattanooga Times Free Press. Retrieved 31 January 2013. ↑ Morgan, Glennisha (June 21, 2013). "Monifah's Girlfriend Terez Proposes On 'R&B Divas'". Huffington.com. Retrieved 5 November 2013. ↑ MJ (May 14, 2011). "Lauren Alaina– Chattanooga homecoming". MJ's Big Blog. Retrieved 28 August 2013. ↑ Staff (2013). "Chattanooga: 2009". WGBH. Retrieved 26 July 2013. ↑ Staff (2013). "Chattanooga, TN: $40 a Day". Food Network. Retrieved 12 February 2013. ↑ Staff (2013). "About Alton Brown". TNAqua.com. Retrieved 12 February 2013. ↑ "Chattanooga news, entertainment, opinion, editorials". Nooga.com. Retrieved July 17, 2015. ↑ Staff (February 22, 2011). "Railroad Museum Featured On History Channel Tuesday Night". Chattanoogan.com. Retrieved 28 August 2013. ↑ Staff (2013). "Maci (Season 1, Episode 1)". MTV. Retrieved 12 February 2013. ↑ "The State Game in Mayberry Carnival - the Games Forum! Forum". Yuku. Retrieved July 17, 2015. ↑ Harris, Will (March 5, 2014). "Vacation Days--The Middle". AV Club.com. Retrieved 1 August 2015. ↑ Hustvedt, Marc (February 19, 2010). "'The Steps', All Aboard As Chattanooga's Web Series Bows Tonight". TubeFilter.com. Retrieved 12 February 2013. ↑ Staff (2013). "Trading Spouses Episodes (Hammond/Howard)". TV.com. Retrieved 12 February 2013. ↑ O'Neal, Carey (February 2, 2011). "Lionel Richie's Visit to the Scenic City". Chattanooga Times Free Press. Retrieved 28 August 2013. ↑ "Movie filmed in Chattanooga to premiere Saturday". WRCB. July 20, 2012. Retrieved June 24, 2013. ↑ ponger (April 14, 1986). "A Winner Never Quits (TV Movie 1986)". IMDb. Retrieved July 17, 2015. ↑ "Usher Live (Video 1999)". IMDb. March 23, 1999. Retrieved July 17, 2015. ↑ "Chattanoog'as Sister Cities". City of Chattanooga. Retrieved November 13, 2011. ↑ "Hamm, Germany". Chattanooga's Sister Cities. Retrieved December 7, 2011. ↑ "Wuxi, China". Chattanooga's Sister Cities. Retrieved December 7, 2011. ↑ "Givatayim, Israel". Chattanooga's Sister Cities. Retrieved December 7, 2011. ↑ "Nizhnii Tagil, Russia". Chattanooga's Sister Cities. Retrieved December 7, 2011. ↑ "Gangneung, Republic of Korea". Chattanooga's Sister Cities. Retrieved December 7, 2011. ↑ Sobolewski, Rich (September 26, 2011). "Chattanooga becomes sister city to Wolfsburg, Germany – WRCBtv.com | Chattanooga News, Weather & Sports". WRCBtv.com. Retrieved November 13, 2011. ↑ Staff. "Chattanooga adds Italian city to Sister City family". Retrieved April 12, 2014. ↑ "Reports from the Town Twinning Network". Swindon.gov.uk. June 6, 2006. Retrieved December 7, 2011. ↑ Wang, Herman (September 17, 2006). "Chattanooga extends international ties with Italian city Ascoli Piceno". Chattanooga Times Free Press. Retrieved December 7, 2011. ↑ "Coolidge Park Tree in Danger of Being Replaced". City of Chattanooga. August 9, 2006. Retrieved December 7, 2011. ↑ "Peace Grove Takes Slippery Elm's Place in Coolidge Park". City of Chattanooga. January 5, 2007. Retrieved December 7, 2011. ↑ Epps, Nordia (September 27, 2011). "Chattanooga celebrates sister city agreement with second German city – WDEF.com; Volkswagen News". WDEF.com. Retrieved December 7, 2011. "Chattanooga". Encyclopædia Britannica. 6 (11th ed.). 1911. pp. 7–8.